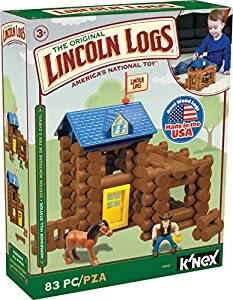 Part of the K'NEX family, Lincoln Logs were invented in 1916 by John Lloyd Wright, son of the famous American architect Frank Lloyd Wright, and has been entertaining children for almost a century. 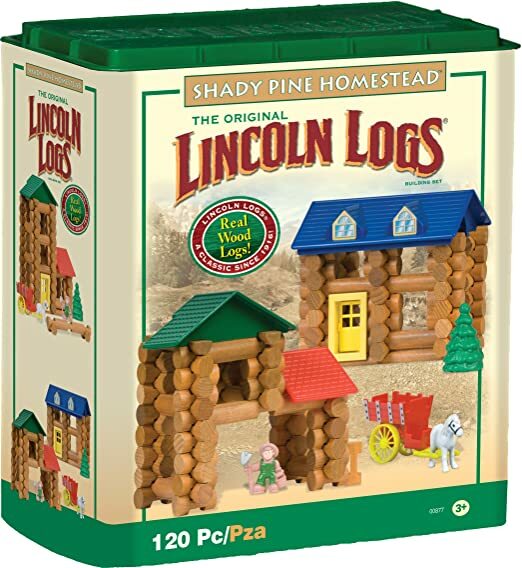 Recently named one of the top retro toys of 2013 by Grandparents.com, Lincoln Logs is a classic construction toy beloved by children of all ages. Playing with Lincoln Logs encourages creativity, inspires imaginations, helps children develop fine motor skills and experience problem-solving. 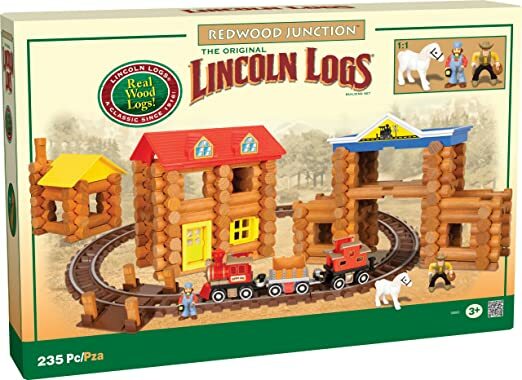 The logs used in all Lincoln Logs sets are, and always will be, made from real wood. 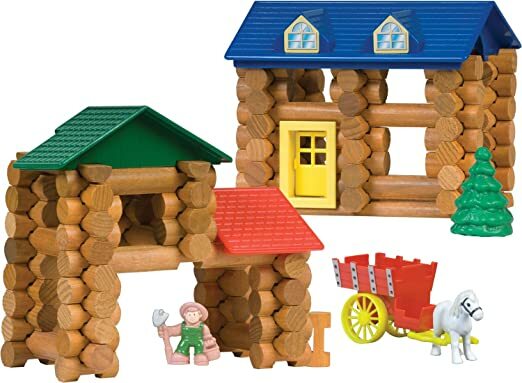 Lincoln Logs offers building sets that combine wood logs with plastic accessories or sets that contain 100% wood parts—just like you remember! 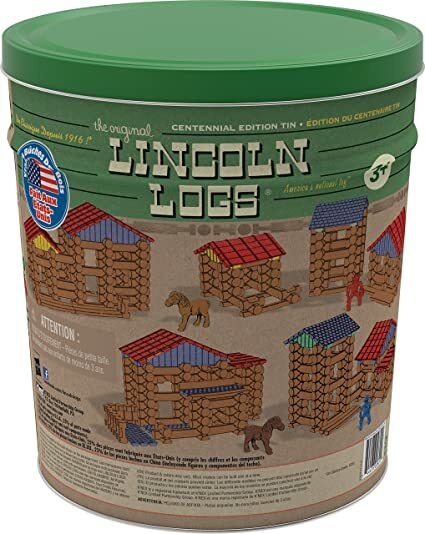 Lincoln Logs Shady Pine Homestead 林肯积木玩具， 原价40刀， 现在打折$23.99. Real Wood Logs plus colorful figures and accessories. Amazon 今天 Gold Box Deal of the Day 50% off select K’NEX Toys! Many of these toys are priced at the lowest they have ever been and are very highly rated too! Plus, shipping is FREE with Super Saver Shipping on a $35+ purchase OR snag FREE 2-day shipping (no minimum) with Amazon Prime. 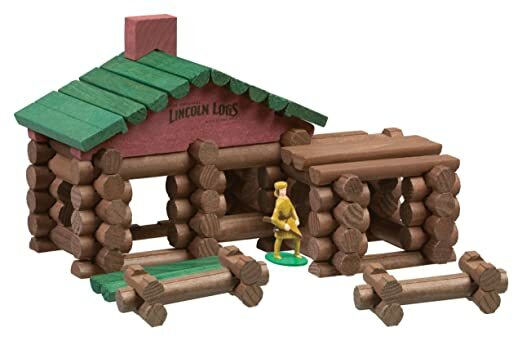 Amazon 现在这套林肯手搭木屋玩具 Lincoln Logs Horseshoe Hill Station Toy 降价 for the lowest price of $14.99 (reg. $29.99). Plus, shipping is free on orders of $35 or get free 2-day shipping with Amazon Prime. This set comes with 83 pieces, including real wood logs with a cowboy and horse, roof, and door. Through October 9th, ToysRUs.com now you can save an additional 20% off select clearance items when you use promo code CLEARANCE20 at checkout. Keep in mind that shipping is free on orders over $29 OR free in-store pickup. Today only, Amazon is offering up to 40% off select Classic Toys & Games. Even better, many of the available items are selling for the lowest prices they have ever been. 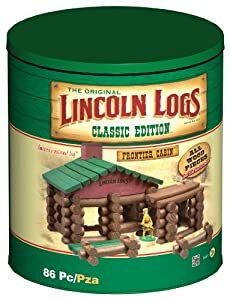 On Walmart.com you can now get Lincoln Logs Building Sets for 50% off. Choose free in-store pick up.